A bit about where we are and where I am going, we’ll see. DIRECTED BY : Jon S. Baird. WRITTEN BY : Jeff Pope. PRODUCTION BY : Fable Pictures, Sonesta Productions, Entertainment One, Baby Cow Productions. 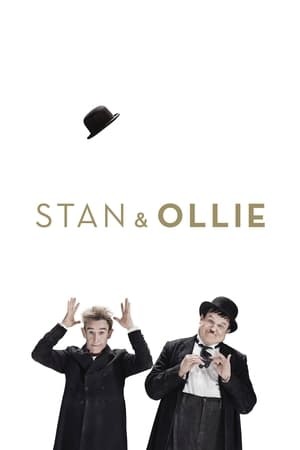 watch full Stan & Ollie 2018 movie, streaming Stan & Ollie 2018 movie, Watch Stan & Ollie 2018 Online Free Viooz, Watch Stan & Ollie 2018 For Free online, Streaming Stan & Ollie 2018 For Free Online, watch Stan & Ollie 2018 movie online now, film Stan & Ollie trailer, Watch Stan & Ollie 2018 Online Megashare, Watch Stan & Ollie 2018 Online Viooz, Watch Stan & Ollie 2018 Online Free hulu, movie Stan & Ollie trailer, Watch Stan & Ollie 2018 Online Free 123movie, Stan & Ollie film download, watch full film Stan & Ollie, Watch Stan & Ollie 2018 Online Putlocker, watch Stan & Ollie 2018 movie now, download Stan & Ollie 2018 movie, download Stan & Ollie movie now, download film Stan & Ollie 2018 now, live streaming movie Stan & Ollie 2018 online, Stan & Ollie 2018 Watch Online, live streaming film Stan & Ollie 2018 online, film Stan & Ollie 2018 online streaming, Streaming Stan & Ollie 2018 Online Free Megashare, Watch Stan & Ollie 2018 Online Free netflix, Watch Stan & Ollie 2018 Online Free megashare, movie Stan & Ollie 2018 streaming, Stan & Ollie movie trailer, download full movie Stan & Ollie 2018, Watch Stan & Ollie 2018 Online Free, Watch Stan & Ollie 2018 Online 123movies, streaming movie Stan & Ollie 2018, Watch Stan & Ollie 2018 Online 123movie, Stan & Ollie 2018 live streaming film, watch full Stan & Ollie 2018 film, Watch Stan & Ollie 2018 Online Free Putlocker. Frost/Nixon, The Wrestler, Slumdog Millionarie; among other things. We discuss Burt at his best in the context of a variety of other films that take the Outlaw Western hero and reimagine him in the modern world. In this spinoff of the Futile Podcast Zack takes the reigns to ask guests what they think will happen in the future? Posted in Uncategorized2 Comments on What’s going to happen in the future? That’s right this one is about musicals! Zack gives his take on this delightful little Disney film and we discuss some of our favorite moments in musical history … which leads us into a discussion about the way race and gender issues come into play while casting a part, etc. We talk about the TV show and films and the nature of sci-fi on television and the problematic aspects of telling a convoluted story while still trying to deliver a dramatic narrative that has closure, etc. But mostly this episode is about Krycek.